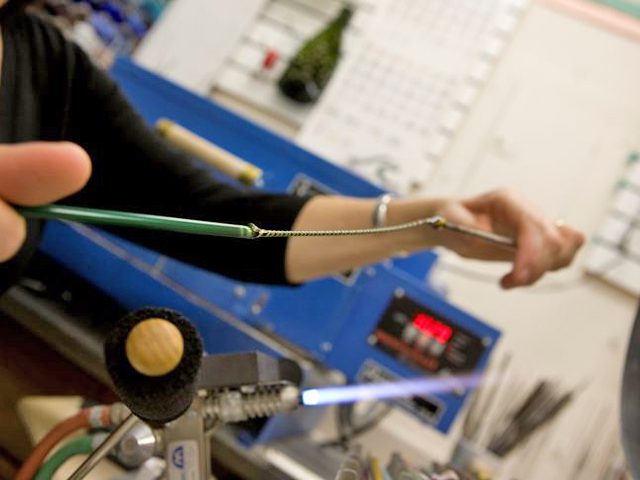 All the jewelry you see has been made by winding molten glass around a narrow stainless steel rod (mandrel). The glass is then held in the flame of a torch, then layered and manipulated in an endless number of ways. The sky is the limit. 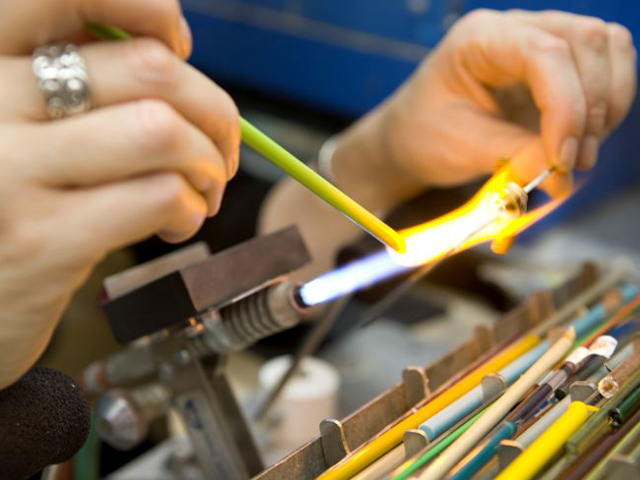 Then the glass is placed in a kiln all night for strength called annealing. The next day the bead is removed from the rod and cleaned with a dremel. Once beads are cleaned, I use them to unique one of a kind pieces using mostly sterling silver and swarovski crystals. 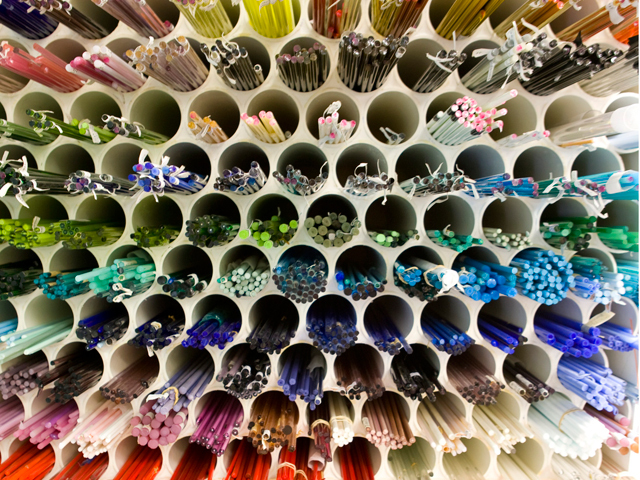 As you look through these photos of our studio, its easy to see that many supplies are needed in order to create a good product. We are so happy to be able to offer our unique creations to you!